Summer Camps Guide 2019 – Summer can prove to be challenging for working and stay-at-home parents. We all want to enrich our children over the summer rather than having them sitting home bored all summer long. 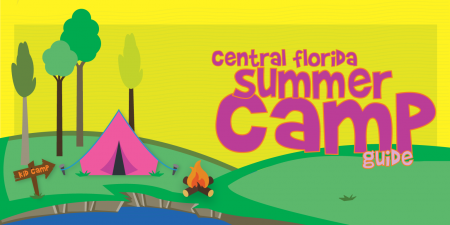 Below are a list of the Orlando summer camp options, and summer camps that we’ve found all over Central Florida that are in addition to all of the preschools and day cares. **Although this is our Summer Camp Guide, may of these camps are offered in Winter, Spring and throughout the year! As always, this list will be a work in progress and we will add, update and remove any summer camp as necessary. Know of a camp we’ve missed? 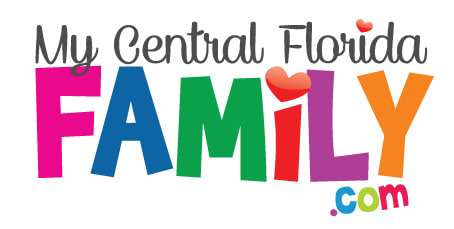 Email it to us at Brandi@MyCentralFloridaFamily.com. If you run a summer camp and would like to see it listed in this guide, please click here to submit your summer camp! +Orlando Magic Basketball Camps: Orlando Magic basketball camps are designed to help all players become better at basketball. Whether you are a new player to the learning the basics, a decorated travel ball player or a high school varsity athlete, this camp program will give you the tools to improve. Learn from the best coaches in the Central Florida area while enjoying all the fun that comes from attending camp with an NBA team. Sessions fill up quickly, sign up today! +Seminole County Public Schools Extended Day: KidZone & Beyond (formerly Extended Day) offers before and after school child care, afterschool enrichment and summer camp. The program is designed to enrich children’s lives educationally, socially, culturally, emotionally, physically and to provide a safe and familiar setting for pre-kindergarten and elementary school children. We focus on meeting the needs of working parents by offering a safe, accessible, affordable program that is school based. We will achieve these goals through activities that allow for creativity, discovery and exploration. Registration opens April 1st. +Florida Film Academy: Exciting Summer Camps available for Ages 7 – 12 & 13- 18. Creative experiences include Filmmaking for all levels, Animation, Visual Effects, Special Effects Make Up & Prosthetics, YouTubing and more!Camps are available in Winter Garden, St. Pete & St. Augustine. FFA offers residency and day camps for teens too! Book early to save your child’s place! +Mad Science: Mad Science camps offer a daily combination of in-class discovery and exploration, outdoor games and physical activities, and hands-on applications of the scientific principles presented. Your child will be able touch, see, hear, smell and taste what science is really all about. We use simple, real world science techniques that allow even the youngest of campers to enjoy our learning environment. Campers create, build and assemble a variety of take-home projects while exploring how science affects the world around us. +WPVC Volleyball Summer Camps: Join the Coolest Summer Camp in Central Florida! WPVC Boys/Girls All Skills Volleyball Summer Camp Ages 7-16! Campers will be excited to join in our interactive curriculum as our facilities are indoor and airconditioned. Campers will learn the values of teamwork, caring, honesty, respect, responsibility and endurance. If your child loves to play, learn, make new friends and do something different and exciting, this is the perfect camp for them. +Victory Martial Arts: You’ll love our high-energy, super fun, MEGA martial arts week of coolness. Make friends while learning awesome ninja moves and super amazing tricks. A week at Victory summer camp will leave you feeling like a warrior! Victory Martial Arts Apopka 1521 Rock Springs Rd. Victory Martial Arts Lake Mary 3855 Lake Emma Rd. Victory Martial Arts Ocoee 2530 S. Maguire Rd. Victory Martial Arts Winter Park 2175 Aloma Ave.
+Girl Scouts of Citrus: All of our camps provide a great opportunity for girls to experience the outdoors and make lasting memories. We have options available for all girls to choose the type of camp that best fits them. Whether it be Day Camp, Sampler Camp or Resident Camp you can be sure it will be a unique experience! Camps located in Merritt Island and Chuluota. +LaPetite: Are your kids ready for THE BEST SUMMER EVER? At La Petite Academy, children have all the fun that comes with summer while learning skills to help them grow. School-agers participate in a variety of activities each week, with plenty of amazing things to discover about the week’s theme. Summer camp at La Petite Academy is perfect for younger children too! During June, July and August, your younger child will continue to learn and grow with fun themed activities and special guests. Ages 5 weeks to 12 years. +YMCA: There’s plenty for parents to love about the Y Before and After School Programs. There’s a good feeling that comes with knowing your child or teen is safe and thriving at the very same place they attend school. No finding a bus. No commute. No worries. What’s more, learning is a part of everything we do. Children and teens are taught the kind of values – caring, honesty, respect and responsibility – that make them who they become. All YMCA camps share one thing: they’re about discovery. Kids have the opportunity to explore nature, find new talents, try new activities, gain independence, and make lasting friendships and memories. And, of course, it’s fun too. +Orlando City Soccer: Our highly acclaimed camps teach the basics of the Beautiful Game in a fun and safe environment. Camps are open to boys and girls aged 5-12 of all experience levels. Each one hour soccer camp session will consist of technical station training and scrimmages, and feature club coaches and professional Orlando City player appearances. +Primrose Schools: Adventure awaits this summer as your child explores something new each day at Camp Primrose. Exciting summer curriculum projects, special events, and field trips keep your child’s imagination growing. Summer at Camp Primrose is filled with excitement, enthusiasm and creativity! +iBrick Academy LEGO Robotics Camps: iBrick Academy has provided camps, after school programs, and special/custom events using LEGO and LEGO Education Products for over 20 years. Our focus in LEGO LEARNING FUN at its best! We provide trained instructors (real teachers!) and all the equipment needed to have a successful event provided by a family owned and operated company with a combined 60+ years in education. We offer both LEGO Robotics and LEGO Master Builder Academy at locations around Central Florida. This year we have Rolled Back our Camp Pricing to: $219 per week. www.ibricakacademy.com or fun@ibrickacademy.com. +My Gym: Summer Camp for 6 yrs to 11 yrs 11 mos. If you would like your child to get out of the house for a few hours of fun and exercise to escape the summertime blues, this camp is for you! Games, Relays, Sports, Gymnastics, Acrobatics, Team-Building Activities, Zipline, Rock Wall & lots more. +iBrick Academy: For over a decade, iBrick Academy has offered Summer Camps featuring LEGO © Education Sets. We believe that children of all ages should be able to have a safe, structured camp while learning S.T.E.M. (Science, Technology, Engineering and Math) concepts. We also believe this all can be done while having fun with LEGO ©. iBrick Academy is a local, family-owned company purposed to offer children ages 3-18 science, technology, engineering and mathematics training through the use LEGO © Education Curriculum and sets. The focus of our business is to provide students the opportunity to work hands on with LEGO © Robots and other LEGO © Education Activities. We provide a setting that fosters hands-on learning also known as Discovery Learning. iBrick Academy incorporates state and national standards along with learning experience that combines FCAT skills, such as problem solving with hands on activities that captivate minds. +Orlando Rep Theatre: The REP Youth Academy provides outstanding classes, camps, workshops, and performance opportunities for young people. The Youth Academy’s programming consists of a variety of performance and technical classes for youth during the school year and summer. The Academy casts young people in their own full-scale productions, complete with professional directors and designers. Its mission is to provide a professional theatrical experience in an educational environment that is by, for and about young people. Please take some time to look through our programs by clicking on the appropriate semester above. +Ladybird Academy: Our unique themes and facilities offer a variety of programs to ensure a memorable and exciting summer vacation for your child. +Starchild Academy Summer Camp: StarChild Academy’s programs feature fun-filled field trips and interesting guest speakers who visit our locations. In addition, many of StarChild Academy’s locations offer week-long summeracademic enrichment programs featuring interactive learning experiences such as aerospace engineering, computer programming, robotics, applied math fundamentals, and creative writing. +Orlando Magic Basketball Camps: Orlando Magic Summer camps are designed to help all players become better at basketball, whether you are a new player to the learning the basics, a decorated travel ball player or a high school varsity athlete, this camp program will give you the tools to improve. Learn from the best coaches in the Central Florida area while enjoying all the fun that comes from attending camp with an NBA team. Sessions fill up quickly, sign up today! Click here for all locations. +Camp Invention: Camp Invention is one week in the summer where your child’s creativity, innovation, and problem-solving skills are challenged and developed in fun and exciting ways. Our top priority is to inspire future innovators and build their confidence in the natural ability to dream and create. Camp Invention is for any child entering kindergarten through 6th grade! The curriculum is designed with each child in mind, featuring fun, age-appropriate activities. +Boy Scouts: Camp La-No-Che is the Boy Scout Camp located on the North shore of Lake Norris in Paisley, Florida. It is a part of Central Florida Council of the Boy Scouts of America and is home to Tipisa Lodge of the Order of the Arrow (OA). Camp La-No-Che is part of the Leonard and Marjorie Williams Family Scout Reservation. The camp is open year round with its most active time being the 8 weeks during summer camp in June and July. La-No-Che also hosts weekends for local JROTC units, Venturing units, Learning for Life units, Cub Scouts (Boy Scouts of America), and Webelos (Boy Scouts of America) weekends. Tipisa Lodge also hosts OA events including sectional weekends. +Kids R Kids: Join us for “American Road Trip” Junior & Senior Camps (Kindergarten – 12 Years). Kids ‘R’ Kids Academies all across the U.S. are teaming up for a unique summer camp experience fueled by a powerful combination of creative energy and virtual technology. +Cranium Academy: The summer program at Cranium Academy is 11 weeks of fun and learning for students who have a wide range of interests. We offer camps for children from 2 years old to 10 years old in arts, humanities, sciences, and more! STEM camp is offered for children ages 4-10. School Day camps are from 8:30 AM until 3:30 PM and Full Day camps are from 7:00 AM until 6:00 PM. +KinderCare Learning Centers: When your local public schools are closed for breaks, we’ve got the perfect backup plan! We’ve created winter, spring, and summer break activities that are fun, smart, and save the day when school is out. We have preschool and school-age programs that kids love, and we offer flexible scheduling options to meet the needs of busy families like yours. +Orlando Ballet School: Orlando Ballet offers an extensive summer program for dancers of all ages. Whether you are a serious dancer looking to refine your technique or a young dancer looking for some summer fun, we have a summer program for you! +Seminole Music Together: Seminole County Music Together offers a Summer Program for children mixed ages Newborn to Five Years old with the grownups who love them! We meet once a week for 45 minutes for six weeks. Songbook and CD and more included. Choose your location. (Winter Park, Oviedo, Lake Mary). Visit www.seminolemusictogether.com to register. Activities include singing, dancing and playing with musical instruments and props. Music is of value in itself! PLUS Music aids in ALL learning! PLUS Music Together is FUN! +Summer Reading Skills at UCF: Programs are offered through University of Central Florida, Division of Continuing Education, in collaboration with the Institute of Reading Development Program design and instructional support are provided by the Institute of Reading Development. +SportsTyme: SportsTyme is a family owned and operated summer camp that has been serving Florida for well over a decade. Our mission is to provide an exceptional sports camp experience for every camper bu making safety and fun our top priorities. Kids learn the importance of sportsmanship while attending summer camp.We like to think that the lessons they learn here will last a life-time. (waiting on update) Orlando Volleyball Academy:Orlando Volleyball Academy hosts several summer volleyball camps for girls and boys in the Central Florida area. We offer specialized camps for beginners all the way through elite volleyball players looking to hone their skills during the summer months. Our volleyball camps range in skill level, but all offer the same high level of coaching, commitment and love for the game of volleyball. To find out more information about each camp, click on the links below. All of the camps below are based in our Southwest Orlando, FL (main) location. We offer even more summer volleyball camps in the Oviedo area. +Full Sail Labs: Our week-long Summer Camps give Kids (ages 7–12) and Teens (ages 13–17) the experience of working on a real film, building a game, or producing original music from start to finish by utilizing state-of-the-art technology. At Full Sail Labs, our summer camps are like no other. Students explore their creativity through storytelling, art, and technology while engaging in collaborative experiences with their peers. Full Sail Labs Summer Camps start in June and run through the end of July. Kids camps are located at our Winter Park, Lake Nona, and Longwood locations. Teen camps only take place on the Full Sail University campus (Winter Park). 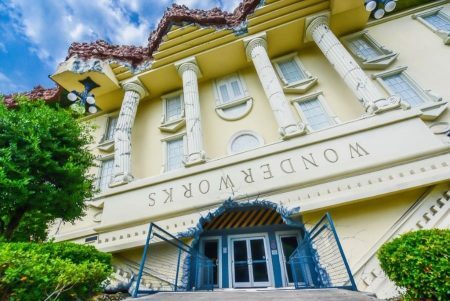 +Orlando Science Center: Orlando Science Center camps provide a safe, fun environment that promotes hands-on learning while fostering excitement in science, technology, engineering, and mathematics (STEM). Campers will build 21st-century skills such as critical thinking, problem solving and communication. Our programs provide children with a platform for cultivating their interests while working collaboratively with their peers. + Bricks 4 Kidz: Bricks 4 Kidz® camps are a fresh and fun way for kids to spend their school breaks! Children will have a blast using LEGO® Bricks to build uniquely designed models, play games, and explore the world of engineering, architecture, robotics, and more in an open, friendly and team-based environment. Bricks 4 Kidz® camps keep the pace fast and varied with guided projects and challenges as well as time for free-play, so the kids are always having fun. Camp activities are specially designed for kids ages 5-12, built around themes kids love, like Amusement Parks, Space, Robotics and more. Screened, trained Bricks 4 Kidz® staff provide friendly, qualified supervision for your children, so you can rest assured they are safe and happy. i9 Sports: i9 Sports is offering youth sports leagues over the summer on Sundays between 8am-12pm. Soccer (ages 3-12), Zip Lacrosse (ages 5-14) and Basketball (ages 5-14) will be offered for a 7 week season for boys and girls. Registration open online at www.i9sports.com or by calling 321-231-8576. +Talk to the Camera at Penguin Point Productions: Do you want your kids to get creative, have a BLAST and keep learning this summer? At Talk to the Camera, our award-winning summer camps spark imagination through moviemaking and video creation. Your kids become storytellers and content creators in a hands-on, collaborative environment. And you’ll enjoy the benefits of improved social skills like public speaking, active listening, and eye contact. Your child’s self-confidence will soar in these engaging and lively summer camps. Thank you to Bright Feats for these great camps. +Alpine Academy: If your child is having a difficult time making friends, we can help! Using the principles of Applied Behavior Analysis (ABA), this program will focus on improving your child’s social communication by teaching core strategies that will allow him or her to develop and maintain friendships with peers. We utilize a variety of social skills curricula to teach language skills and promote social interaction. Our activities are fun, creative, and designed specifically to target your child’s social challenges. Through cooperative games and team building activities, the children practice perspective-taking and emotional self-control, learn to recognize verbal and nonverbal social cues, as well as practice conversational skills and good sportsmanship. Most importantly, they learn how to make friends and have FUN in a low student to teacher ratio environment. We also have in-house field trips and other fun activities such as visits from the Kona Ice truck incorporated into the camp. +Arbor School of Central Florida: Our school offers a sensory-based summer camp that allows your child to build more on their experiences in school and bring it to a new level. Camp is a multi-sensory experience that provides occupational therapy, speech therapy, music therapy as well as art, academic remediation, social skills training and play based activities. Camp is a motivating and rewarding experience with weekly themes that are exciting and fun. Each day the campers experience sensory based play that improves body awareness, core strength, gross, and fine motor skills. The day moves quickly with art activities, language based games and academic supports all carefully planned to support the interest and needs of the campers. +CECO (Conductive Education Center of Orlando): Summer Camp Age Group: 4 years to 18 years. This is a special needs summer camp for children with cerebral palsy and other related motor disabilities. CECO can offer your child an intensive conductive education program with the focus on increasing physical and social independence. The intensive sessions are led by PETO trained conductors including physical, educational and self-care skills. Students are grouped in small classes (up to 6 students max in each classroom) that are segmented to meet your child’s developmental needs. There is one-to-one student to staff ratio (each group is led by a conductor with trained program assistants) and physical and cognitive stimulation for your child throughout the entire day. The daily routine includes programs to develop new skills and improve existing gross motor; fine motor and self-care skills in a group environment. Students from around the world join us for this life changing program. You must complete an application and assessment prior to submitting the registration form. +The First Academy: The campus of The First Academy has always been a great place to spend time over the summer months, but the fun and enrichment has been taken to new heights in recent years! There are programs for all ages and interests, from Arts to Sports to Academics – and much more! +UCP of Central Florida: At the UCP Summer Camp Programs children experience different things, develop new skills and have fun along the way. We foster an exciting and safe environment for kids of all abilities to create unforgettable summer memories. While they are taking part in unique experiences and adventures, they are also building self-esteem, developing interpersonal and leadership skills and making lasting friendships and memories. +The REP: Sensory-Friendly Theatre Camp at Princeton House Charter. The REP continues its commitment to serving all young people of Central Florida through offering classes at Princeton House Charter School that incorporate evidence-based practices and supports that can accommodate students with autism and other developmental disabilities. While The REP practices inclusion in all of our camps and classes, some students find that a more sensory-friendly atmosphere allows them greater success. Princeton House Charter School is located at 1166 Lee Road, Orlando., Camp for rising 3-5 (ages 7-10) graders and a camp for rising 6-8 graders (ages 11-13). +Easter Seals Florida: Peace of mind for you, and the summer adventure of a lifetime for your loved one! Weeklong fully accessible overnight or day camp for children and adults with disabilities or special needs, ages 6-106! Exciting activities include zip lining, swimming, archery, dancing, sports, music & drama, and more! Easter Seals Florida… providing summer memories for individuals with special needs for over 50 years. +Camp We Sign: At Campus of Faith Assembly, Camp We Sign is a week-long Summer Camp for deaf, hard-of-hearing children and their siblings. Come to Laugh, Lean and Grow! July 9-13, 7:30-6pm. +Florida School for the Deaf and the Blind: The Florida School for the Deaf and the Blind will host two Expanded Core Curriculum (ECC) Summer Academies during June 2019 at its St. Augustine campus – at no cost for students who are blind/visually impaired or deaf/hard of hearing. Transportation and boarding/meal opportunities are offered. Academy presenters and instructors are certified teachers trained to work with students who are blind/visually impaired or deaf or hard of hearing. Note: Not available to currently enrolled FSDB students. + Allstars Sportsplex: Select 1 week or multiple weeks. Discount for more than 5 weeks. Each week will have a theme like Science Week, Game Show Week, etc. Weekly specialty coaches for sports training. Click here for flyer. +Patriot Aquatics: Summer Splash Camp at Lake Brantley Aquatic Center. In order to register, call and leave a message, or email admin@patriotaquatics.com. You will be contacted for registration. +City of Altamonte Springs Summer Camp: Summer time is a great time to play outdoors, learn new things and make new friends. The Altamonte Springs Recreation Summer Camp takes place at Westmonte Park and is limited to City residents. Children ages 6 to 12 can participate in our one-of-a-kind learning experience. Activities include arts and crafts, optional field trips, games, organized sports, movies and swimming. Programs such as gymnastics, swim team, splashball, tennis and cheerleading are also available to those who are interested. Registration is limited to City of Altamonte Springs residents only. Space is limited to 300 participants. +O2B Kids: Any child entering First through Eighth Grade who wants to investigate the mysteries of science, plant a garden, make a movie, paint a picture, sing a song, learn a dance, do a flip, write an article, build a float, take a trip, play basketball, laugh, learn or play with their friends should attend Summer Camp. Click here for the flyer. Click here for specialty camps. +Rebounderz Apopka: Give your kids an amazing summer to remember at Rebounderz in Apopka! We are the perfect place for kids to meet new friends, have fun, and get fantastic exercise during our summer camps! +Oakmore Equestrian Horse Summer Camp: Ages 6-14. Summer Camp offers campers the ability to ride each day with instruction, learn how to clean and care for the horses and equipment, participate in arts and crafts, and acquire general information about horse anatomy, riding disciplines, and horse show. $400 per week. 407-880-0698. Email: Info@oakmoreequestrian.com. More info and registration form click here. + Kids R Kids Apopka Summer Camp: Kids R Kids Apopka offer summer camp for school age children ages 5-12. Our program offers fun field trips, fun filled activities and a splash pad day on our onsite water park. + 3D Motion Summer Dance Camp: Come join us for our AMAZING summer dance camps!!! We will spend the week learning all types of dance! Ballet, tap, jazz, lyrical, hip hop, Acrobatics and much more!!! Register now to save your spot!We have 2 different age groups during each week. Ages 2-6 (must be potty trained) & Ages 7-12. Camp runs 9am-5pm with early drop off available. + Sportsplex Baseball/Softball Camps: Baseball/Softball training plus with other sports activities in the state of the art indoor complex. Boys and girls, ages 6-14. We provide from basic to the most advanced training and other sportys for kids who just want to enjoy a great summer camp experience. (waiting on update) Trinity Christian School Summer Day Camp: Nursery-8th grade campers welcome! Part-time, Full-time, Weekly and Daily options available! Check our website for field trip and activity calendars. DCF #C09OR0932 & ACSI Licensed. +Bright Horizons: Day camp programs at Bright Horizons® offer indoor and outdoor activities, plus opportunities for fun, friendships, and exploration. Our programs group children by age and encourage their growing ability to make choices, work with others, and assume responsibilities. Our camp teachers work collaboratively to develop a fun curriculum that takes advantage of all that the summer offers. They use playgrounds, the surrounding communities, and special visitors as an extension of the camp, helping children to discover science, explore nature, and engage in the creative arts, while learning about the vast opportunities in the world around them. We follow four essential rules when planning our excursions: the trip must be developmentally appropriate, safe, have educational value, and it must be fun! Programs vary by location. Contact your local center to check availability of summer camp programs. +Camp Boggy Creek: Reaching Out to Cancer Kids in partnership with Camp Boggy Creek in Eustis. This residential program exclusively for children with cancer offers campers an opportunity to experience the fun and adventure of summer camp without having to feel different from other kids. Full-time volunteer medical staff includes resident pediatric oncologists and nursing personnel. Activities include swimming, music, arts and crafts, archery, sports, fishing, talent shows, horseback riding, and campfires. Space is limited. Visit BoggyCreek.org. +Camp Heronwood: Camp Heronwood is an outdoor summer day camp for boys and girls ages 5 to 11. We are secluded, yet convenient to many communities and schools in the Central Florida area. Our activities include horseback riding, boating and tubing, arts and crafts, land sports, canoeing and nature activities. Thank you for your early registrations! As you can see all of our weeks are filled! We are looking forward to a wonderful summer with your children! (waiting on update) SocPrep STEAM Summer Camp: This sumer camp will take STEAM and put it on steroids! They are going to give the kids the chance to learn about science, math, engineering, art and technology, while applying it to complete a grand cumination project each week. +Starz Dance Galaxy: This year bring your kids to a Summer Camp they will look forward to coming to each day while also staying physically fit, learning to dance and even performing in front of an audience. Bring them to Starz Dance Galaxy’s Summer Camp! +Casselberry Summer Camp: Kids will have the best time of the year at the City of Casselberry Summer Camp 2017! Children entering 1st grade to children entering 7th grade will enjoy 8 weeks of action-packed fun and excitement. Students will also learn about things like food and nutrition, the environment, music and the arts, how to play chess, perform magic tricks, and create interesting science projects. City of Casselberry Summer Camp counselors are background screened, undergo a mandatory training program and are certified in CPR and First Aid. Enrollment is limited to 100 campers per week. +Camp Serendipity: We provide FUN on our campus! BEAM Interactive Floor : Art : Crafts : Sign Language Classes : Science : Game Room : Pirate Ship Water Park: Nutritious Meals & Snacks included : Warm & Engaging Teachers : Flexible Scheduling : Photos / Videos sent to you throughout the day : Complete Peace of mind while you work! (waiting on update) Foreign Language Immersion School: The Foreign Language Immersion School & Mad Science have partnered for an Amazing Summer Camp Experience. Students will participate in a fun and educational experience where kids get the opportunity to learn about science through interactive hands-on science activities all in the Spanish language. This camp will be a sensory explosion of creative learning. Classes will allow students to become junior scientists for the summer and embark on a series of adventures all facilitated in the Spanish language. 3 hour weekly Mad Science Lab, daily stem activities to reinforce lab content facilitated in Spanish. Extremely competitive pricing for Summer Camp this year. Free morning care and aftercare and all meals and snacks included. +DreamCatcher Horse Ranch Summer Camp: Our summer camps are a fun experience for all ages and abilities! Children from age 5 upwards welcome. +XL Sports World (Soccer): XL Soccer World offers fully supervised vacation camps throughout the year. Players aged between 4 and 14 years old will learn and develop their skills in a safe, fun soccer environment. Click here to register. + Orlando Rowing Association: This is a great opportunity to improve fitness and to learn the basics of rowing. Inquiries can be sent to PresidentEdgewaterCrew@gmail.com. + Central Florida Vocal Arts: Ages 7-12 will join us for an amazing week of singing, dancing, acting, scriptwriting, and set design! Our week-long camp will culminate in two performances: a voice recital on Friday night and a fully staged musical production – “Under the Sea Muscally” on Saturday featuring the music from “Descendants”, “High School Musical”, “Finding Nemo”, “The King and I”, “The Mikado” and more! As a non profit 501(c)3, Central Florida Vocal Arts is able to provide scholarships for students in need. Contact us for information about how to apply for such opportunities! + LBRA 2019 Summer Rowing Camp: Discover rowing this summer! All rising 4th -12th grade students from any school to experience the ultimate team sport. Learn basic rowing skills, and progress to rowing in racing shells. All rowers will learn leadership skills, team building, and enhance their own personal fitness. Previous articleDo you love festivals? Check out Fun Spot Festivals 2019.